The worst thing for men in nursing was Meet the Parents because it emphasized the social stigma that women are nurses and men are doctors, directors, and CEOs. “So, you’re like Nurse Focker,” a friend joked to Mark Gustin when he found out Mark was becoming a nurse, referring to Ben Stiller’s character in Meet the Parents. Greg Focker is the subject of immense ridicule throughout the film for many reasons, one of which is because he’s a male nurse. Mark Gustin is a registered nurse in the operating room at Brandon Regional Hospital in Brandon, Florida. While very secure in his chosen career, he explained that his friend’s response is a regular occurrence and a clear illustration of the gender gap in nursing. The gender gap is the difference in how men and women are treated, especially as it relates to opportunity, pay, and status. Like Greg Focker, male nurses have long been the subject of laughter. What many fail to realize is that this disparity could be detrimental to the profession as a whole. Nursing is a rapidly growing field. According to the United States Bureau of Labor Statistics (BLS), openings for registered nurses are expected to increase 15 percent nationally between 2016 and 2026—more than twice as fast as the average for all occupations. The BLS attributes the increase to an emphasis on preventive care, increasing rates of chronic conditions, and the healthcare demand from aging baby boomers. While growth is positive, it comes with risks. As aging Baby Boomers retire, more nurses will leave the field. This has some states concerned of a looming shortage. For Instance, the Florida Center for Nursing (FCN) estimates 84,000 working registered nurses may start to phase out of the Florida workforce over the next decade. Closing the gender gap and recruiting more men to join nursing could help the healthcare system keep up with demand and effectively serve an increasingly diverse and aging population. Many factors gave rise to the stigma of men in nursing, including America’s history of laws against it, the media’s portrayal of nurses, and gender bias. As history would have it, men were the first nurses. Men were known to be caregivers as far back as Ancient Rome. They tended to the sick and dying when the plague swept through Alexandria, and they nursed the injured during the Crusades of Europe. The same was true in the United States, where the history of male nurses began on the battlefields of the Civil War. These battlefield nurses served in both the Union and Confederate armies. Historical evidence even confirms that many male nurses served during the Spanish-American War in 1898, but when the Army Nurse Corps (ANC) was established in 1901, everything changed. Men were no longer allowed to serve as nurses. A field that was predominantly male was now exclusively female. It took more than five decades—and many letters to Congress—but by 1955, the Army Nurse Corps commissioned its first male officer. Lieutenant Edward T. Lyon became the ANC’s first male nurse. This was a turning point for men in military nursing. Unfortunately, the effects did not ripple throughout the profession. For most of the 20th century, male nurses were relatively rare—a trend that continued into the 21st century. As Gustin’s friend illustrated, the media has a strong influence on society’s perception of men in nursing uniforms. “The worst thing for men in nursing was Meet the Parents because it emphasized the social stigma that women are nurses and men are doctors, directors, and CEOs,” explained Gustin. Television shows like ER, Scrubs, and Grey’s Anatomy have also done little to reverse the societal norm. Though they do feature females as doctors, most of the male actors are cast as doctors and surgeons rather than nurses. Television commercials further damaged the reputation of nurses, such as a Coors commercial that used “naughty nurse” imagery to sell Zima, a clear alcoholic beverage. The Center for Nursing Advocacy stepped in and fought for Coors to change its ad. By the time they did, the damage was done. The message was clearer than the sweet drink advertised: women were nurses and nurses are sexual objects. Gustin sees this in his own hospital. Fewer men are floor nurses “because that’s a more nurturing field by nature,” he explained. Gustin remembers that all the nurses he encountered in OB/GYN were female. Not surprisingly, women are more comfortable talking about female health concerns with another woman. In the OB/GYN setting specifically, female nurses can relate better to the patients’ needs. Regardless, not trusting a man’s ability to care—and demonstrating that discomfort—has contributed to the stigma of men in nursing. Gustin was one of five male students out of the 35 in his nursing program at the University of South Florida, which is slightly higher than the national average for men in nursing. In 2016, the U.S. Census Bureau reported more than three million registered nurses (RNs) in the workforce, with only 11 percent being male—a significant increase from 1970 when only 2.7 percent of registered nurses were men. When looking at the breakdown by state, some states have a much higher female-to-male ratio. Nebraska, for example, has almost four female nurses to every one male nurse, while Iowa had more than 16 female nurses for every male nurse. This data is based on March 2015 numbers of professionally active nurses, which include currently working, state-licensed registered nurses and licensed practical nurses. Ratios are based on gender information provided and do not take into account unspecified gender numbers. While men are outnumbered in nursing, they are proportionally paid higher than their female counterparts. An American Community Survey (ACS) from 2013 reported that men in nursing averaged annual earnings of $60,700, while women earned $51,100 per year. “While women’s earnings in nursing fields are not on parity with men’s, the wage gap is smaller than the average across all occupations: 77 cents to the dollar,” explained ACS. The ACS also reported that men are more likely to gravitate toward high-paying nursing jobs. The highest representation of men is in nurse anesthesia, a role that often pays six figures. According to the ACS, about 41 percent of nurse anesthetists are men, and their median earnings in 2011 were $162,900. Among nurse practitioners, 9 percent were men making $96,400 per year on average. Gustin’s experience as a male nursing student confirms these recommendations would be helpful. During his nursing program, Gustin had only one male professor, and there was no mentorship program until he got his job at the hospital. Now, his mentor is a female operating room nurse. He has a great relationship with her and feels comfortable asking her questions, which is the essence of a good mentor. While Gustin wasn’t seeking mentorship in school, he does see its value for younger students. Gustin acknowledges that those in their teens or early twenties are not as secure with their choice to become a nurse, and having a mentor would help guide them. Gustin, like many male nursing students, would also be relieved to see changes in the maternity clinical rotations. The daily stigma he encountered that semester was so harsh that he failed and had to retake that section. For a younger student, failing a course could be reason enough to discontinue the program. Therefore, addressing this issue would prove especially beneficial in retaining male students. Professor Miller has one more suggestion for overcoming the stigma: “Stop saying ‘male nurses.’” Omitting this misnomer would remove the constant divide between nurses and “male nurses” and would certainly improve society’s perception of nurses as a whole. Male-dominated jobs have suffered recent losses over the years. Manufacturing, for one, lost more than two million jobs between 2004 and 2016. That is a big hit for an industry that is 70 percent male. 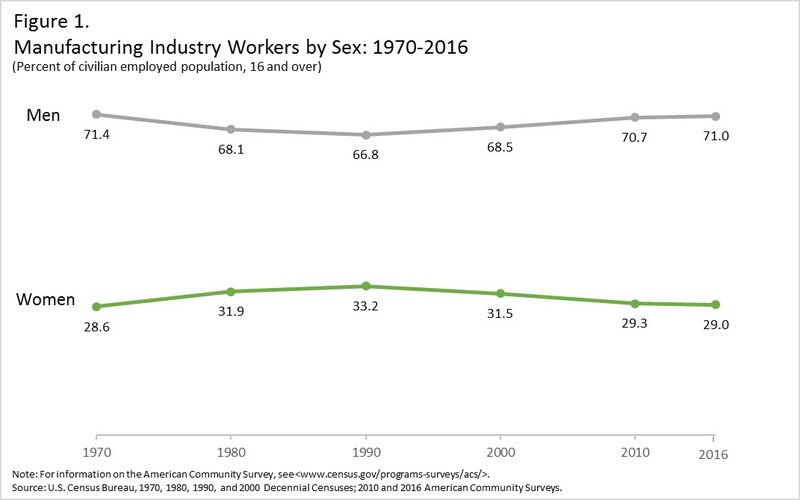 As a result, workforce participation for men ages 25 to 54 has fallen steadily. The good news is these out-of-work men are a prime target market for healthcare jobs. Nursing, in particular, is a high-growth occupation without a four-year degree requirement. It is an attractive opportunity for men willing to start a second career. The variety drew him to nursing. “When you say you’re a nurse, people think floor nurse, and that’s not true. Nursing has so many avenues.” The key will be communicating these benefits of nursing. If the industry can do that, the field may gain a few men and the overall workforce would thrive. That’s why the American Association for Men in Nursing (AAMN) started the initiative 20 X 20: Choose Nursing with the goal of having 20 percent male enrollment in nursing programs by 2020. Through a series of posters, a social media campaign, and scholarships, the AAMN hopes to target men of all ages, especially second-career adults. They hope to connect with men through their past jobs or hobbies, explaining how nursing can genuinely satisfy their interests. About the Author: Liz Lotts spent more than six years copywriting for an online health-and-wellness retailer before leaving her corporate job—and the beaches of South Florida—in 2018. Liz is now a full-time freelance writer and part-time student, pursuing her second degree in dietetics. If she’s not putting words on virtual paper, Liz is helping her husband and business partners run their Orangetheory Fitness studios in New York.